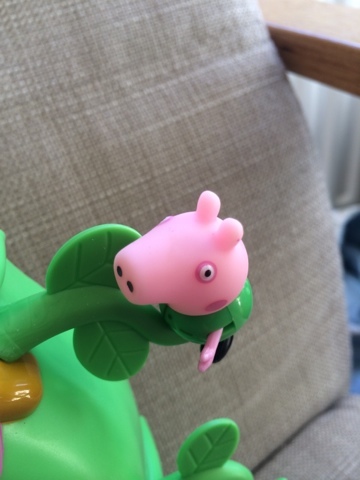 Peppa Pig has firmly been a fixture in my life since 2009 and I've got to say I'm actually rather fond of this little piggy! 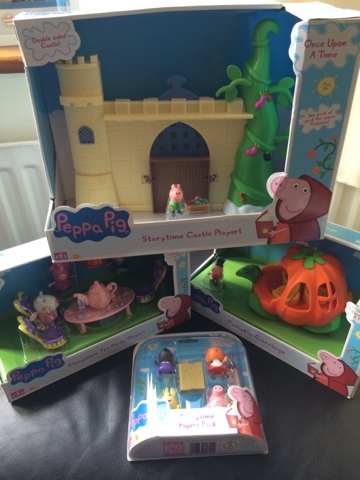 Maegan is 4 and she loves watching Peppa Pig and enjoys the playsets, Blake is 6 and although Peppa Pig isn't something he request anymore at TV time, he does still play with the toys. 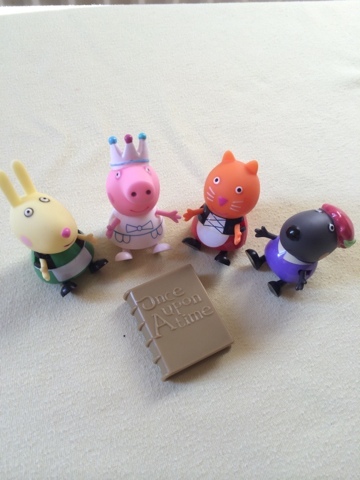 I'm delighted to share with you some of the newest collection - Once Upon A Time. 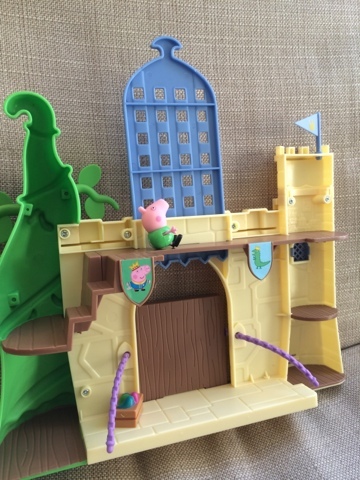 Peppa Pig Storytime Castle is really sweet, it's a double sides playset. 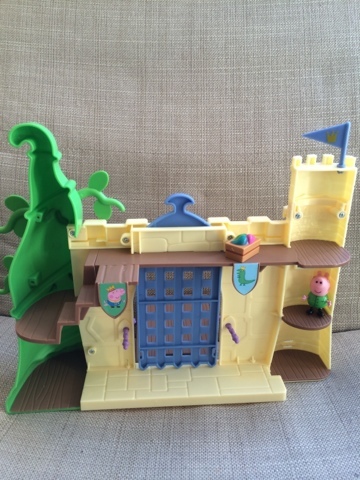 To the front you have the working drawbridge and slide up gated portcullis and the leafy beanstalk. 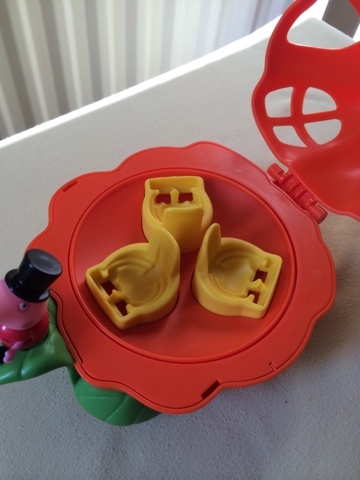 On the reverse you have a mixture of steps and platforms and layers to play on. 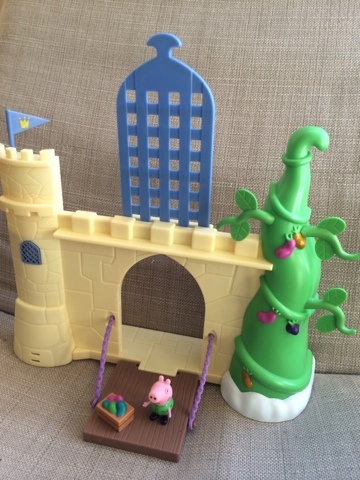 The flag at the top can be spun round to suit your wind direction and George can climb the beanstalk. 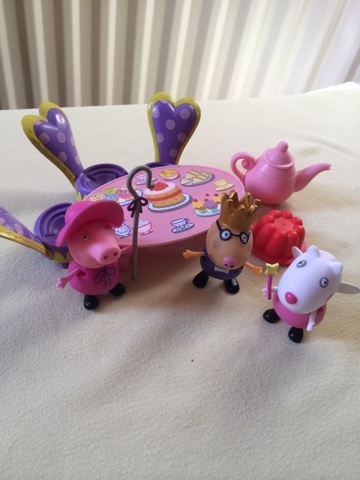 This set comes with George Pig dressed in green and a crate of magic beans from the beanstalk. 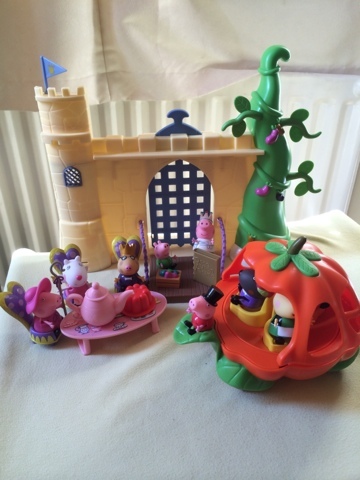 The roof opens up so that it's easy to place your characters in and has great details such as the leaves. 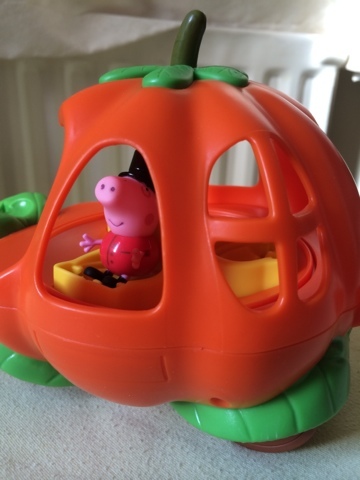 Comes with a coachman George Pig. 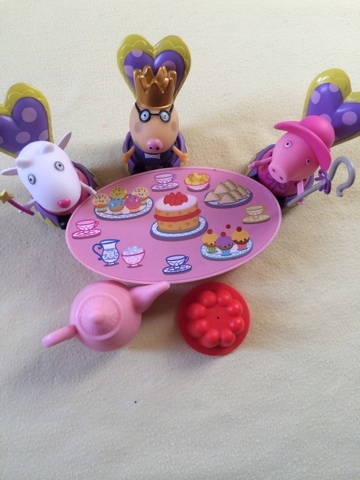 Storytime Tea Party Playset comes with 3 ornate thrones, a beautiful feast table, a large teapot and colossle wibbly wobbly jelly as well as 3 figures, bo peep Peppa, fairy Suzy sheep and king pedro pony. 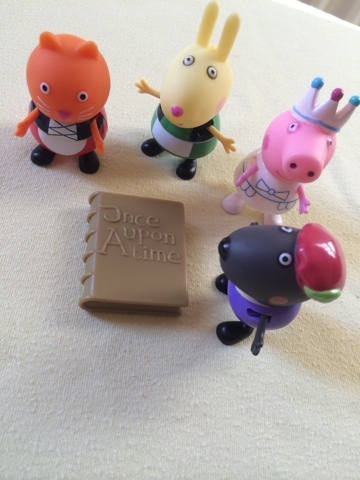 The Storytime Figure packs come with woodland Rebecca Rabbit, Swan Peppa, woodland Candy Cat and medieval Danny Dog all in fairy tale costume, they also came with a giant golden book! As with all the figures, their legs can move from standing to sitting and their arms can move from outstretched to forward reaching! 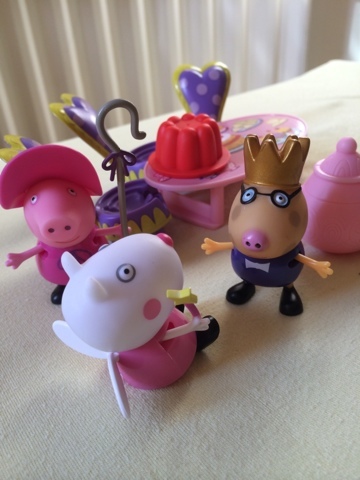 Overall we love the new Once Upon a Time, Storytime fairytale Peppa Pig playset range from Character. 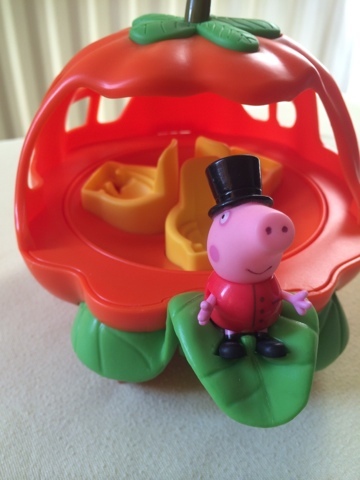 Disclaimer: I received the featured Once Upon a Time Peppa Pig toys for the purpose of this review - all thoughts, images and link choices are my own.